In the latest annual energy outlook from BP PLC (NYSE: BP), it was the first time the company forecast oil demand would eventually peak and then steadily decline. BP put the date for peak oil demand in the late 2030s. And the cause is one I’ve told you about quite often in my articles – the rise of electric vehicles. BP said there would be 300 million electric vehicles on the road by 2040, up from about 3 million today. BP says electric vehicles will account for only 15% of the roughly 3 billion cars on the road in 2040. But they will account for 30% of all passenger car transportation, as measured by distance traveled, because so many of them will be shared vehicles, à la Uber. BP’s outlook also envisaged renewable power growing from just 4% of global energy consumption today to 14% in 2040. Add all of that up and you can surmise that a lot of changes are ahead for the oil industry. Yet only some of the world’s major oil companies are preparing for what the future will hold. The oil companies that seem to have begun the process of adapting to a lower carbon economy are located across the pond in Europe. These include Royal Dutch Shell PLC (NYSE: RDS.A and NYSE: RDS.B), Total SA (NYSE: TOT) as well as the aforementioned BP. Both Shell and Total, for example, have invested heavily into natural gas as a cleaner alternative to coal for power generation. But now the two companies are moving forward with even more ambitious plans. Both Shell and Total are moving into the consumer power market. The reason is obvious to the head of Shell’s “new energy” strategy, Maarten Wetselaar. 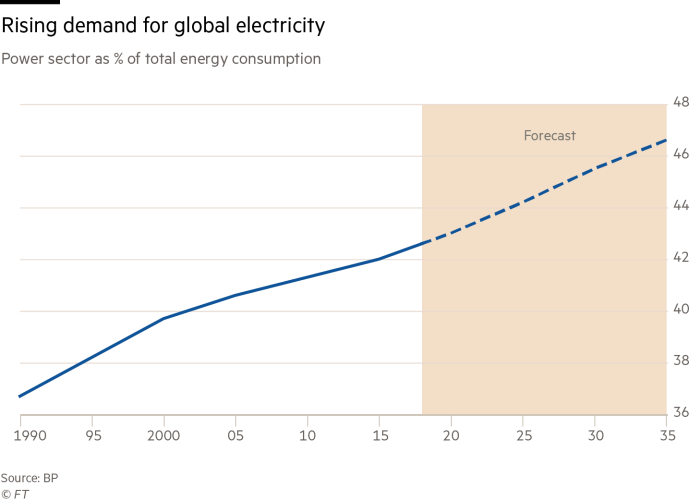 He forecast that the proportion of global energy consumption to be met by electricity will climb from less than 20% currently to about 50% over the next few decades. Both companies have also moved into renewable energy. In January, Shell bought a 44% stake in the U.S. solar energy company, Silicon Ranch Corporation, for $217 million. And last October, it purchased NewMotion, which operates one of Europe’s largest electric vehicle charging networks. The company also has a 20% stake in the huge Borssele offshore wind project off the coast of Holland. Total’s strategy is similar. It paid nearly $300 million for a 23% stake in the French renewable energy company, Eren. It also spent $2 billion (about a billion each) over the past few years buying the U.S. solar company, SunPower, and the French battery developer Saft. The latter makes specialized long-life lithium-ion batteries for industries including telecommunications, medicine, aerospace and defense. Its products are installed in two-thirds of the world’s commercial aircraft and over 200 satellites. Shell is close to completing its acquisition of First Utility, the UK electricity and gas supplier, which it agreed to buy last December in a deal that will pit it against the U.K. ‘s larger power suppliers. Meanwhile, Total is in the early stages of building a retail energy business in its domestic French market to challenge the country’s incumbent power providers. These acquisitions are all part of the long-term strategy of these companies. It’s a rather straightforward strategy too – to sell the power from their own renewable and other energy sources (such as natural gas) through their energy trading businesses to customers, both commercial and to a lesser extent, residential. Shell, for instance, already is among the largest power traders in both Europe and North America. And given its size and scope, it may become a supplier of choice for many large industrial customers, threatening the long-term viability of existing utilities. Most of the other major European oil firms are moving down the same path as Shell and Total, albeit at a slower pace. BP has owned a large U.S. wind business for many years and in December signed a $200 million deal to buy Lightsource, a U.K. solar power developer. Even Italy’s Eni SpA (NYSE: E) and Norway’s Statoil ASA (NYSE: STO) are investing in solar and offshore wind, respectively. 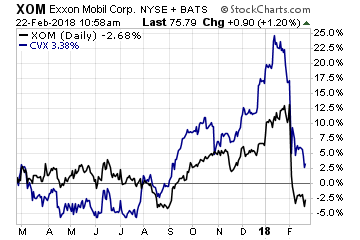 Yet the two U.S. giants – ExxonMobil (NYSE: XOM) and Chevron (NYSE: CVX) – have largely not followed their European peers into other forms of energy besides oil. They seem content being dinosaurs drawing jeers from climate activists. Exxon and Chevron are ignoring the eventual transition to a lower carbon world. No one knows how fast this transition will occur. But one thing is all but certain: electricity will be at the heart of the shift with power demand increasing in transportation, industry and the services sector as oil is displaced. 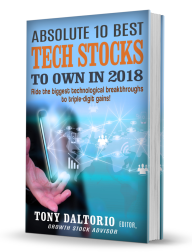 Grab your exclusive copy of this new research report that shares Growth Stock Advisor editor Tony Daltorio's "10 Best Tech Stocks" to own in 2018 and beyond. With exposure to red-hot sectors such as lasers, photonics, robotics, advanced microchips, cybersecurity, and more, you can future-proof your portfolio while also gaining exclusive access to some of the biggest growth opportunities of the next decade. Click here now for your copy. Follow these 10 simple rules from 20-year professional options trading veteran, Jay Soloff and start earning a reliable extra income from options. 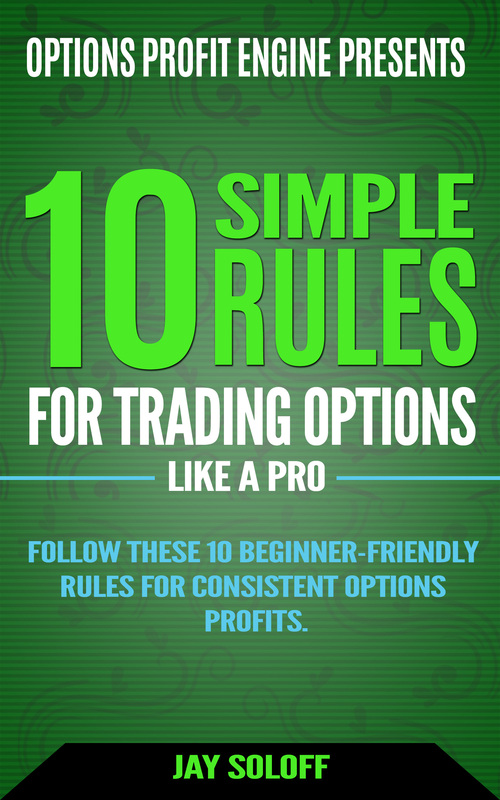 NO prior experience needed to master these 10 simple options trading rules. I'm in! Send Me the Report. As a bonus you’ll receive a free subscription to The Market Cap, an independent newsletter filled with investment ideas for dividend, growth, and options investors. You’ll also receive occasional offers and discount notices from Investors Alley and select partners. Author: Tony DaltorioTony is a seasoned veteran of nearly all aspects of investing. From running his own advisory services to developing education materials to working with investors directly to help them achieve their long-term financial goals. Tony styles his investment strategy after on of the all-time best investors, Sir John Templeton, in that he always looks for growth, but at a reasonable price. Tony is the editor of Growth Stock Advisor. Is Now the Time to Move to Bonds? 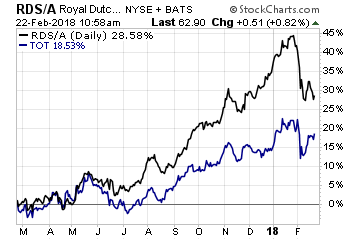 You don't want to miss this opportunity for a steady, consistent stream of income from stable dividend paying stocks. Click here to read the transcript or here to exit.